The children have been busy story telling this week and we have heard some fabulous new stories based on Goldilocks and the Three Bears. In literacy next week we will begin to look at information texts. The children will be finding out facts about animals and creating their own information poster. In numeracy we will be bringing together all the work which we have been doing on addition and subtraction by doing some problem solving work. Thank you to those people who have already signed up for parents appointments. If you haven’t already done so, please could you click here to go to the website to sign up. If you are unable to do it online, please pop into the office and the office ladies will be able to book your appointment. Some advance notice that book week will be the week beginning Monday 6th February. During this week we will be meeting the author Kristina Stephenson who writes the Charlie Stinky Socks series. We have been reading these books in school and the children are really enjoying them. This is a link to the website if you would like to look at it with the children. http://www.sircharliestinkysocks.co.uk/author/. On the Friday on that week (10th February) children may come to school dressed up as their favourite story characters. They are welcome to bring in the book to share with the class if they would like. We will also be having a book sale on Friday 10th February. If you have any books which you would like to donate for the sale, please bring them into school. We would also appreciate some help to set up and run the sale. If you are able to help, either for the whole morning or for an hour or two, please could you let your child’s teacher know. Just a reminder that there is no school on Monday 6th February due to a staff training day. 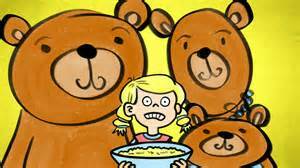 In literacy next week we will be continuing our work on Goldilocks and the Three Bears. The children will be changing part of the story to make it their own and will be given a choice of how they present their story (eg. written or choosing to use an app on the ipads). In numeracy next week we will be doing some work on subtraction calculations. Click here for a link to some online addition and subtraction games. Parents appointments will be the week of Monday 13th February. 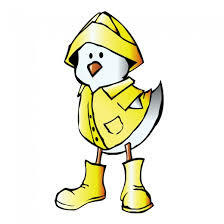 Please keep an eye out for an e-mail from the office letting you know when you can book. Please note that there are no appointments with the Year 1 teachers on the Monday because we are all on a training course so you will need to scroll past these times to find the available appointments. This year we will be once again holding a Book Week from 6th – 10th February. During this week Key Stage 1 shall be having a visit from Kristina Stephenson, author of the Sir Charlie Stinky Socks books. To prepare the children for this visit the Schools Library Service have organised a competition. Your child should have brought home an entry form on which they can design a sock! The brighter and bolder the better! Three entries will be shortlisted and sent to the library who will choose a ‘Top 3.’ These children will be invited to attend a Public Author performance at Castle Cornet at 4.30pm on Thursday 9th February. (If you are interested in attending please get hold of the library!) The winners will each receive a prize from Kristina herself. If you’d like any more information please contact the library on 714098. We have launched our new topic for this half term ‘The Zoo’. There are lots of animal related resources for the children to explore in the Discovery Zone and children will have a Zoo topic passport with some new challenges to complete. In Literacy we are beginning a Talk for Writing unit on Goldilocks and the Three Bears. The children will be learning actions to help them re-tell the story. Next week we will be doing sentence work based on the story as well as creating a story map. In Numeracy next week we will be continuing our work on place value and ordering numbers as well as beginning to add 10 and 11 to numbers. 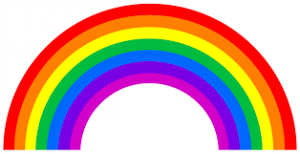 Your child should have bought home their new rainbow maths targets. This term they are focused on doubling and halving. We test the children every few weeks to see if they can achieve their target quickly and they will bring their sheets home so that you can see how they are getting on. Please click here for some online activities to help your child practice their target. Thank you for all your support helping your child to learn to read and spell the High Frequency words – it really does make a difference to both their reading and writing! This term we will continue to send the High Frequency Word boards home with your child. Children will be given a new board when they are confident reading their current board at speed. Please keep going through the previous boards at home with you child as our assessments at the end of last term have shown that some children are not retaining some of the words which they have learnt previously. It only needs to take a couple of minutes a day and can make a big difference for your child. The children who are confident reading all the Reception, Year 1 and Year 2 words will no longer be bringing home boards but will have information sent regarding spellings. Your child should have bought home a letter today from the School’s Music Service inviting them to apply for instrumental lessons in Year 2. Please note that these forms should be returned to the Music Centre by January 27th if you wish to apply. They should not be returned to school. We hope that you had a lovely Christmas and wish you a Happy New Year. Just a reminder that PE and library days will remain the same as last term. PE kit (with shoes) is needed on a Wednesday. Please could you ensure that children bring a coat to school everyday as they will need it for playtimes and lunchtimes as well as for our outdoor learning sessions which will continue this term. Please may we also remind those children who took their boots home for the holidays to return them or if you didn’t have them last term we would recommend bringing some in as the garden and field are very muddy at this time of year. At the end of last term we were left with a lot of un-named lost property. Please could we remind you that everything which your child brings to school should be named, including uniform, PE kit, coats, boots, shoes, water bottles, fruit pots etc. If an item is correctly named we are easily able to reunite it with its owner! We will continue to update you to let you know what will be going on each week so don’t forget to check the blog. If you subscribe (using the box on the main home page) then you will get an e-mail reminder whenever something new is posted so you don’t have to remember to check for new information. We are looking forward to welcoming your children back to school again in the morning ready for another busy and fun filled term!